She is a graduate of our college and a Director of the Canadian Shiatsu Society of British Columbia. She has successfully completed Provincial Instructor Diploma Degree. Our instructors are well trained and educated in specific subjects to provide the students profound knowledge. She is a graduate of the CCST. She performs a wide variety of tasks for the college including registration, assisting with visas for International students, governmental registration and certification of the college and much more throughout the calendar year. She practices Shiatsu professionally at Japan Shiatsu Clinic. 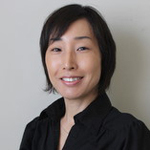 She is a member of Jikidenkai Shiatsu Professionals Association of BC. She has a background as a Medical Doctor and has a Bachelor of Science in Medical Technology. A certified Health Care Provider, Reflexologist, Touch Therapist and a trained Provincial Instructor of B.C. for 18 years. She is a health care professional with a great passion of teaching. She teaches Anatomy at CCST. With a background as a medical doctor, She has lots of experience in teaching/instructing medical subjects since 1993. Over her career, she has learned and used different teaching methods to satisfy the needs of her students. Her goal is to make the subject easy to understand and to help students succeed. She is encouraging, enthusiastic, and very supportive. She teaches Physiology at CCST. She is a Registered Doctor of TCM in CTCMA and has been practicing acupuncture and Herbal Medicine in BC. 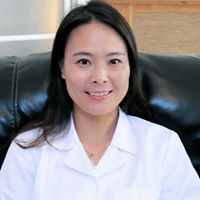 Since she learned and completed doctor of TCM, she has been continuing to expand her skills and knowledge in regards to TCM and ability to heal people such as combination with Acupoint injection for pain relief and energy boosting and food therapy. She teaches introduction of Traditional Chinese Medicine at CCST.